You could be forgiven for thinking that this site hasn’t really been about knitting lately. What with all the spinning and the dyeing (and even the weaving), there hasn’t been much knitting content around. In the couple of days since the Briar Rose sweater was finished, I’ve been zooming along on Branden’s MacGyver sweater. This one is knit from my Shetland handspun, bought almost exactly a year ago at Wisconsin Sheep and Wool. The sheep’s name was MacGyver. I knew from the moment I heard that that it would end up being a sweater for Branden. And so it is. 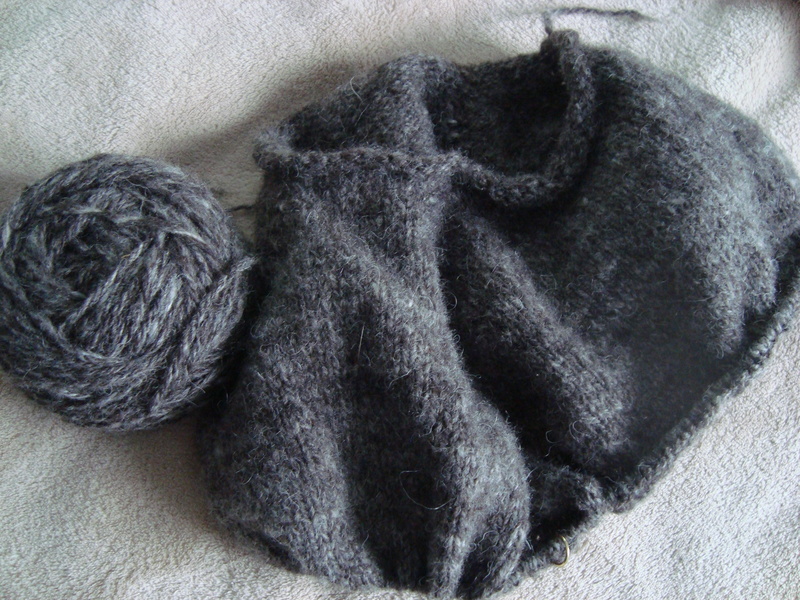 The wool ended up a little heavier than I was expecting (story of my life, at the moment), but on size 6 needles at 4.4 stitches to the inch it is knitting up amazingly fast. 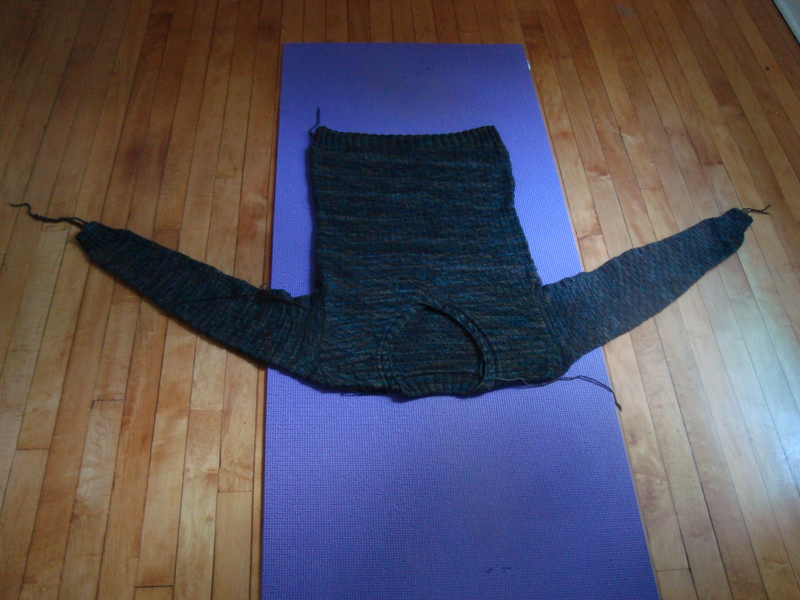 I’m already halfway to the arm split on a top-down Raglan. The knitting is slowing down as I add more stitches, but for now I’m enjoying the speed. I’m also considering breaking project monogamy and casting on for a lighter-weight project that will be slightly easier on my hands. It’s not completely decided yet, but this sweater is quickly approaching the too-big-to-travel stage, so it may be necessary. Project monogamy is not good for your health, mental or physical. Even when the project is as gorgeous as MacGyver. That BR sweater looks fabulous, even upside down! You can be forgiven for not spotlighting knitting when the knitting in question is a sweater on US 2’s! The new sweater on 6’s must seem positively bulky by comparison. I can’t wait to see the Briar Rose sweater modelled – the color is wonderful. As for project monogamy, I could see how you wouldn’t want to be carrying a huge thick wool sweater around all the time in August. Your Briar Rose turned out Lovely! Please Please start another project (or two or three), then I don’t have to feel so guilty when we get together and have 20,000 projects going.